Hair loss in patches or bald spot is a symptom of alopecia aerate. It is an autoimmune reaction commonly seen on the scalp where hair loss may occur in oval or round patches. It occurs suddenly and is limited to certain areas on the scalp. Rarely there may be burning, itchiness, tingling or tenderness along with hair loss. It may affect both males, females and sometimes even children. 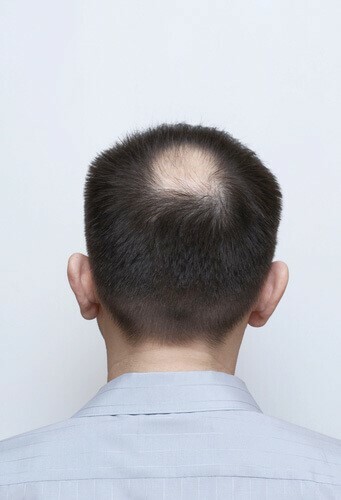 Heredity may play an important role in developing a bald spot, especially in individuals below 30 years of age. Other risk factors are asthma, typhoid, hay fever, vitiligo, thyroid pernicious anemia, poor diet, and stress. In a woman, it may occur due to hormonal imbalance. Usually, in most of the cases, hair regrows within a period of 12 months, but in some cases, it may take a long time or a new bald spot may develop. In a few cases, the condition may be serious and there may be a total loss of hair. It is really frustrating to have a bald spot. But instead of losing hope it is better to take some actions to stimulate hair growth. 1. First of all, meet a dermatologist so that he could distinguish the cause of hair loss and suggest proper treatment of underlying cause. 2. Assess how much time you devote in taking care of your hair and scalp. Most of the hair fall is caused due to poor hygiene, brushing tangled hair roughly and not using the proper shampoo or conditioner. It is better if you use organic shampoo or protein rich conditioner. Shampoo at least 2 times in a week. Massage with hair oil such as coconut oil, castor oil, olive oil, etc…. at least 1 hour before shampooing your hair. Do not tie wet hair. 3. Prevent hair from the direct sun. 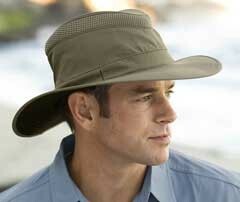 It is better to cover them with a hat or scarf before going out in the sun. 4. Bring changes in your lifestyle- Quit smoking. Eat foods rich in protein, essential fatty acids, and vitamin A. Consume fruits, green leafy vegetables, complex carbohydrates and lots of water. 5. Reduce stress- Practice breathing exercises, meditation, and yoga. 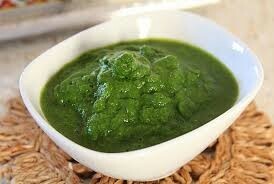 Fenugreek and coconut oil- Fry a teaspoon of fenugreek seed powder in 2 tablespoon coconut oil. Strain it on cooling and massage over the affected area and all over the scalp. DIY Hair oil for a bald spot– Grind half bottle gourd, 2 Indian gooseberries and curry leaves. Boil them in 2 cups of coconut oil till the quantity reduces to half. Strain it on cooling and store the preparation in a bottle. Apply and massage scalp with it 3 times a week. This is followed by a head bath after a few hours. Coriander leaves- Crush coriander leaves, make a paste and apply on scalp. Keep for a few hours and then rinse it off. Pigeon pea and red gram– Take both in equal quantities and soak for an hour. Bring them to make a paste. Apply this paste on the bald spot. Repeat this 3 times a week for effective results. Black pepper and lime seeds- Take both in equal quantities and make a paste. Apply to the affected part. Keep for an hour and rinse it off.